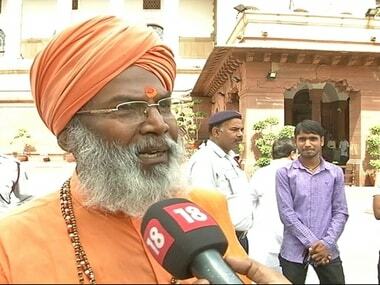 Unnao: A day after his letter to party’s state president, Mahendra Nath Pandey, seeking Lok Sabha ticket from Unnao went viral on social media, Bharatiya Janata Party’s (BJP) sitting Member of Parliament (MP) Sakshi Maharaj said that he did not intend to threaten the party with his letter. The BJP MP said that he only followed the party’s order as it had sought details of all Lok Sabha constituencies in the country from its representatives and sitting MPs. “The party had asked for details from all 543 constituencies in the country. A form was to be filled and I provided the details to the party, but I wrote the letter since there was not enough space in the form provided to us by the party,” Maharaj said. The Unnao MP said that ticket aspirants sending their “biodata” to party leadership is a common practice that he was following along with a letter. “In the letter I had requested for the ticket. 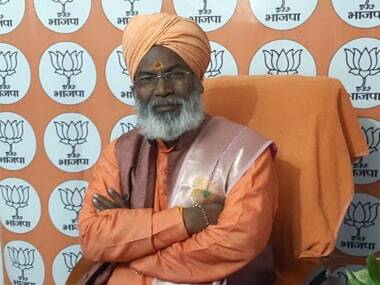 I nowhere threatened the party but I said that the party may get hurt if I am denied the ticket because I come from the backward section and there are more than 5 lakh OBC voters in this constituency,” he said, adding that the saffron party had minimal representation here before he was elected from the constituency. Maharaj cited in the letter that the six MLAs and one MLC under his constituency are all from the BJP. 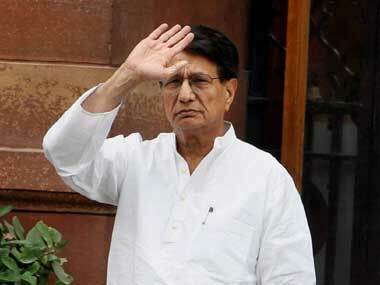 He also provided a caste break up of the electorate in Unnao Lok Sabha constituency in his letter addressed to Pandey. “I had thanked the party and did not threaten. I wrote the letter because the party asked me about it. Not just me but all the lawmakers. I am upset with the fact that the letter I wrote to the party was confidential but was leaked in the media and the party’s state president Mahendra Nath Pandey did not receive it. This is now a matter of investigation that how a confidential letter got leaked,” he said. “There was no representation of the BJP for three terms or 15 years in Unnao before I was elected as MP, so, I think that I am the most eligible candidate. I won with a margin of 3.14 lakh votes. The party gives me respect and respects my views, so I think I am going to get the ticket,” the parliamentarian said. On the other hand, Maharaj said he has started campaigning for the BJP in his constituency irrespective of who gets the party ticket. “I have been going to the ground and meeting people from seven in the morning to 10 in the night. It is my duty to ensure that party wins this seat and I am dedicated towards it. Ticket does not matter to me but I have talked to the party bosses about it and have got a satisfactory answer from them. Hopefully I am going to get the ticket and register win in the elections again,” he said. Maharaj has not been contacted by any of the BJP leaders, including state president Pandey, regarding the leaked letter that went viral on social media, he said. 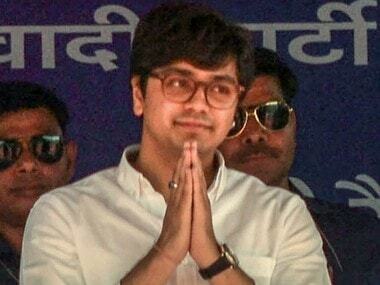 Quizzed about the alliance between Samajwadi Party and Bahujan Samaj Party in Uttar Pradesh for the Lok Sabha polls, Maharaj called it an alliance of “cons”, adding that “the people understand their deeds very well”. 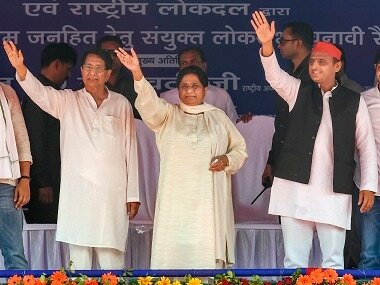 “This thagbandhan (an alliance of cons) is not going to make any impact on the BJP in these elections as people know how much these people have looted and I am telling you that there was Modi wave in 2014, but this time it is Modi tsunami and all these people (parties) will get washed away once the results are out,” the MP claimed. To buttress his point, Maharaj in his two-page letter also expressed that he is not willing to contest from any other constituency while also giving a caste break-up of elected representatives from Unnao under “Thakur”, “Brahmin”, “Vaishya” and “Dhobi” categories. Political grapevine has been abuzz that the BJP may deny Lok Sabha tickets to over 50 percent of its sitting lawmakers owing to their non-performance. Maharaj came on the radar of the party when he was seen smiling on the truck carrying the corpse of Pulwama martyr Ajeet Kumar Azad. When TV channels cornered state BJP spokesperson Rakesh Tripathi after airing the footage repeatedly, he had told a TV channel that the party will reflect on this in their meeting. The author is Lucknow-based freelance writer and a member of 101Reporters.com.